Medical errors injure and kill thousands of people every year in the United States. This can be a frightening prospect for anyone facing a medical procedure or new diagnosis. But for those who have been harmed due to a medical provider’s mistake, the aftermath can be devastating. When the quality of care you receive comes into question and negligence is to blame, you need the attorneys of Elk & Elk. We can provide answers to the complex questions of what happened and why. Our Dayton-area office is located in The Greene Town Center, off I-675 and Indian Ripple Road in Beavercreek. Our attorneys represent clients throughout the Dayton metro area and all of Ohio. The consequences of medical malpractice can impact your life in countless ways. In some cases, poor care from an inattentive or incompetent medical provider can cause permanent damage. Medical malpractice could occur at any of Dayton’s local hospitals, including Grandview Medical Center, Miami Valley Hospital, Access Hospital Dayton or Kindred Hospital Dayton. We are committed to helping victims of medical malpractice secure the best possible care in the aftermath of their injuries. These problems can all transform a person’s life, making it difficult to function normally. After suffering injuries due to medical errors, you may experience a loss of bodily function or feel intense pain. You may be unable to work in your chosen field or work as often as before, which can greatly limit your income. Depending on your situation, your injuries could also affect your relationship with your spouse or family. The impact of medical malpractice can be emotional, stressful and painful. For this reason, we fight for compensation for every form of suffering you have endured – from mental anguish to financial losses. Our Dayton lawyers can help you speak up about your experience in court. Our medical malpractice attorneys aim to provide high-quality legal representation and compassionate client service. Call 1-800-ELK-OHIO or contact us online to schedule a free consultation. The standard of care: This phrase describes the reasonable expectations for a doctor or nurse in a similar situation. Doctors cannot guarantee every patient ideal results, nor can they detect every problem before it causes harm. However, they must follow the right procedures and act similarly to how the average professional in their field would act. A breach of the standard of care: If your medical provider did not perform up to the standard of care, he or she was negligent in your diagnosis or treatment. Negligence can manifest in numerous ways, such as not taking your symptoms seriously and failing to diagnose a medical problem. Abuse is also a breach of the standard of care. 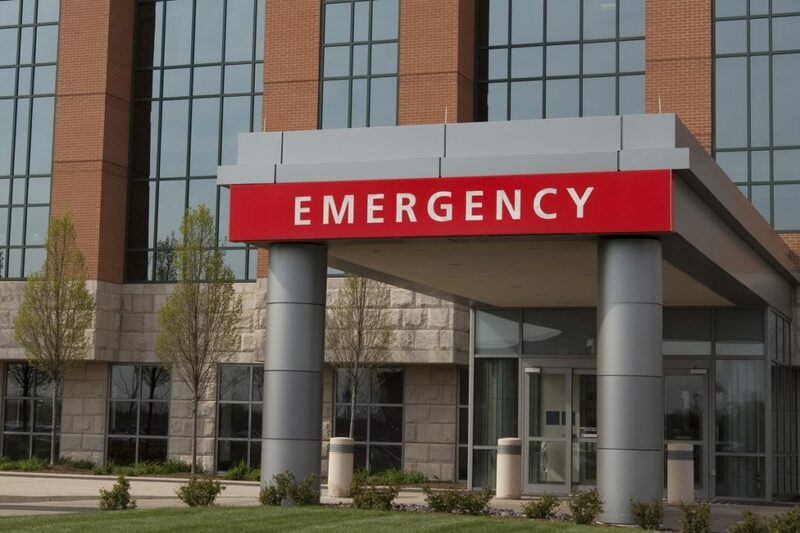 The breach injured you: You will need to link the negligence of your medical provider to the symptoms and losses that you suffered as a result. You may receive compensation only for related damages that you suffered or will likely suffer in the future. Patients typically face severe damages in medical malpractice cases, but proof is still necessary. To prove your medical malpractice claim, you need evidence of each element. With our experience and resources, we can gather medical facts and testimony to support your case. Ultimately, our goal is to tell your whole story and obtain significant results to aid your recovery. What is the typical medical malpractice lawsuit like? Although every case is unique, the process is similar across Ohio. The first step is to review your medical condition, the type of procedure or care you received and various legal factors with a qualified medical malpractice attorney. Once you determine that you have a valid claim, you and your lawyer will notify the other party, which may be a hospital, doctor, surgeon, personal caregiver, nurse, nursing home or other health care provider. The other party will have an opportunity to assess your claim and, if it wishes, offer a settlement before litigation. You do not have to accept a settlement offer, which may be worth far less than a potential trial award. Your lawyer can help you understand the benefits and drawbacks of settling your claim. If your case proceeds to trial, your attorney can help you present evidence to prove the standard of care, the other party’s breach of that standard and your injuries. Eventually, a judge or jury will decide the outcome and may award compensation for your damages and suffering. At Elk & Elk, we can give you a realistic outlook of your case and help you make the most advantageous decisions possible. We know that this process can be challenging – especially when you are in pain or limited due to your injuries. Let us advocate for justice for you. Like other personal injury claims, you have a certain window of time – called the statute of limitations – in which to pursue medical malpractice claims. Once this period passes, you cannot pursue your case, meaning you would no longer be able to obtain money to cover your damages. In Ohio, you have one year from the date on which the error occurred to seek damages for injuries that should be obvious, such as a wrong site operation. If your injury is not immediately apparent, you have one year from the time you discover the injury – but no more than three years from the date of alleged malpractice – to sue. Four years after the original care or treatment, no claims are possible. Unfortunately, some people who have suffered medical malpractice injuries do not address the problem immediately and lose their right to make a claim. Therefore, it is vital that you get further medical care and a second opinion from a different provider if something feels wrong. To avoid missing your chance to get justice and compensation, start discussing your case with a qualified lawyer as soon as you suspect medical malpractice. We are ready to take legal action before the deadline. It is essential to work with a lawyer who has medical knowledge in addition to a deep understanding of health care law and personal injury law. When justice and thousands or millions of dollars are on the line, this knowledge can make a crucial difference. We have the experience to recognize who is at fault, the resources to examine your specific situation and the track record to support getting optimal results. Elk & Elk’s recent results include a $10 million verdict in a paralysis case and a $9.88 million verdict for a birth injury claim. When you suspect that the quality of care you or a loved one received was substandard, let the team at Elk & Elk work hard to get you the compensation you deserve. Our Dayton attorneys can answer your questions, explain your options and address your immediate concerns. Call 1-800-ELK-OHIO now for a free, no-obligation consultation or fill out our online form.